We’re beyond honoured to have won first place in the UBS Future of Finance Challenge! Read more at http://innovate.ubs.com. This is an incredible endorsement of our vision for the future of safe and fair financial markets. We thank UBS, our amazing coaches and mentors with UBSInnovate and 100% Open, and all of the other (outstanding!) companies who participated. 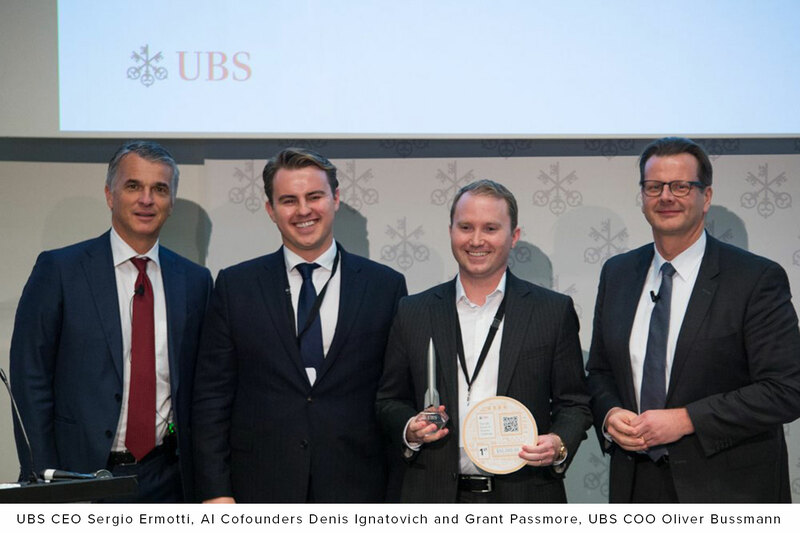 To commemorate, here’s a great photo of AI cofounders Denis Ignatovich and Grant Passmore celebrating with UBS CEO Sergio Ermotti and UBS CIO Oliver Bussmann. Together, let’s make markets #safeandfair!